The holiday season is a great time to visit the Carlisle Arts Learning Center (CALC). With fascinating exhibits, fun events, and shopping opportunities, you won&apos;t want to miss everything that CALC has to offer. If you have time now, stop by and check out their two current exhibits. The upper gallery features a selection of fine crafts from the Yellow Breeches Chapter of the PA Guild of Craftsmen, including glass, enameling, fiber, wood, metalwork, and more. 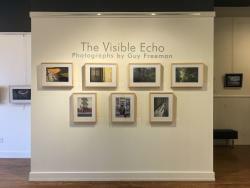 Downstairs, The Visible Echo showcases the work of local Carlisle photographer Guy Freeman. Both exhibits close on November 3. Spend a Saturday evening supporting CALC during its fundraiser event, the mARTini Auction, on November 17. You&apos;ll be in good company as you enjoy refreshments, an open bar, live music and great art for sale. 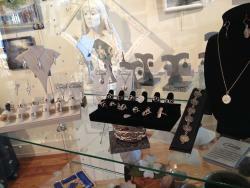 From November 23 through December 29, get some holiday shopping done at CALC&apos;s annual Art for the Holidays event. CALC will be displaying a variety of local, hand-made, artisan-designed art including ceramics, jewelry, ornaments, paintings, photography and more. Cross some names off your holiday list with these one-of-a-kind gifts. In addition to hosting a number of art classes and one-day workshops on topics such as yarn dyeing, weaving, drawing, and marbling, CALC also hosts Creative Night Out. The theme for November 2 and December 14 will be Craft Beer & Clay. Pottery supplies, instructions, snacks, and beverages are included in the class fee. The session on December 6 involves experimenting with all shades of white while painting a Winter Landscape. With all these great events you&apos;ll definitely want to take a "creative escape" at CALC during the busy holiday season. You&apos;ll find that if it&apos;s your first time visiting, it definitely won&apos;t be your last!